. Published on July 5, 2018 . I would like to start this blog talking about house hunting which I think could be helpful for most of you people out there. When I first moved in to Chicago, I didn’t have a permanent place. I rented a room through Airbnb for a week. 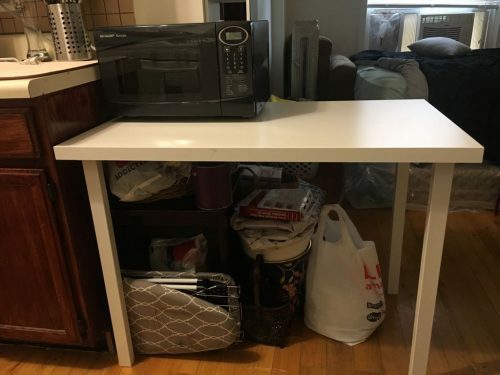 I was hoping I would find something, but I had to extend my stay in Airbnb because it was really difficult to find a place and move in—especially as an international student. The first place I liked, I got rejected because they wanted American documents. Then the second studio apartment accepted me and I was just so happy to find a home for myself. So, I had to live in a studio for a year, which wasn’t a bad experience. But for me, it started to get boring and a little depressing (because I don’t really get much light in my apartment). So, I decided to find either a room in a two bedroom apartment or a roommate. I joined a couple Facebook groups and posted about it. A couple people reached out to me and I found someone; I think our interests were pretty much the same for an apartment. We talked on the phone a couple times (because she was in Dallas) and then she moved in to Chicago. We then started to look for places together through a lot of websites like Zillow, Apartments.com, Chicago’s Property Shop, HotPads. I made a list of the apartments and we arranged showings. After seeing a lot of places I started to get an idea of what is cheap and what is better than the other apartments. Meanwhile, a friend of mine decided to move to Los Angeles and she was trying to get rid of her items. I agreed on buying most of her stuff you can see below. Besides the house hunting, I have been trying to work on my script for the summer class I took, Screenwriting II. It is a good thing that there are deadlines pushing you to work on time. Otherwise, it is really difficult to focus and be done with a script. Let’s see how mine is going to turn out. I am waiting to be done with the feature script as soon as possible so, I can start working on my thesis idea! I still need develop my idea or maybe even find a new one. I also remember to take advantage of a short summer in Chicago. We organized a picnic with a couple friends on the beach and we even swam. I have also been to a White Sox match and also, since Wrigley Field is close to me, I keep seeing a lot of people around the area when there is a match. The feeling of Wrigleyville is just amazing. 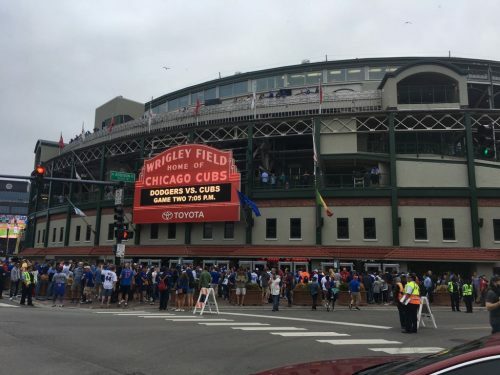 When there is a game it is so fun to be around in Wrigleyville—you don’t even need to watch the game! 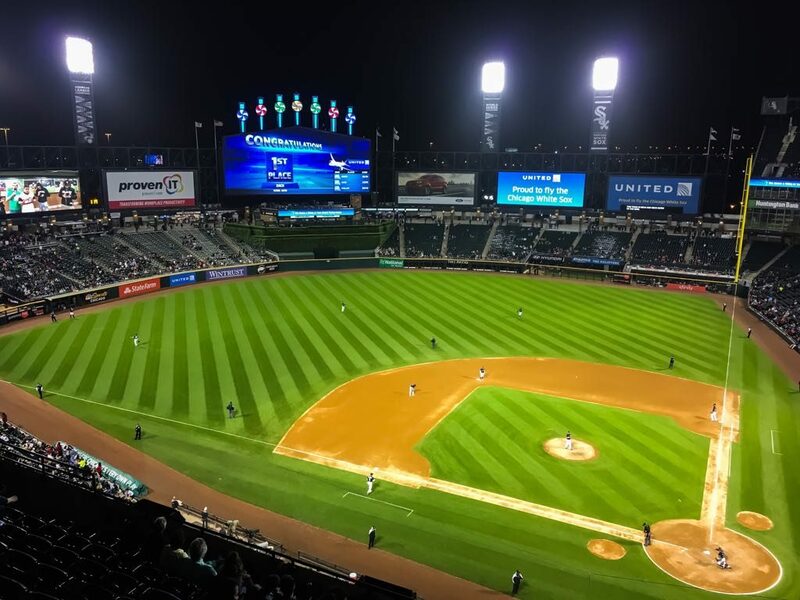 White Sox are playing, Guaranteed Rate Field.